Screen Test on Ipad Mini 4 – Applerepo.com, With iPad Mini 4 were promised better color reproduction and it is true. Compared with the iPad Mini 3 the difference is huge where the fourth version is better in every way and more color accurate. Older Mini models lack the range for red hues and therefore gave pale skin colors which also means that the monitor is not capable of deep red and blue hues. Thus is also magenta, pink and purple tones totally wrong of iPad Mini 3. At first glance, the Mini 4 to see much more colorful like compared to the Mini 3, and that the impression should you trust. Mini 4 gives the right colors. Mini 3 do not give the right colors. Maximum brightness of the iPad Mini 4 is just over 400 cd / m2 similar to previous iPad models. Minimum brightness is just under 5 cd / m2 which should be low enough for bedtime reading in the dark. The screen is color-wise stable throughout this range. The weaker it shines the less bluish white balance, around 6800 Kelvin instead of 7000 Kelvin color temperature. There is a small difference that can absolutely be measured but which are not directly visible, much less disruptive. You can depend on the colors of the screen no matter how bright you are driving. Again, it is similar to existing larger iPad models. The ability to climb down the brightness to 5 cd / m2 is also an important difference of the apple ipad mini 4 from the ipad Mini 3, which contented itself with around 8 cd / m2 at the lowest brightness. It is still quite bright for a reading under the covers or equivalent. Now learn most run with automatic brightness active in any case, but it may be worth to know that in case you set the slider halfway through the scale, we reach about 160 cd / m2. 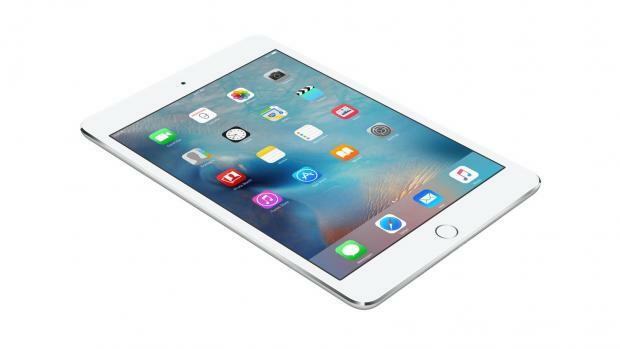 IPad Mini 4 is, on the whole, therefore more similar to other iPad models. Compared with the iPad Air 2 is about the same in terms of color reproduction. Both draw something much against blue white balance, and it almost seems to be a little informal “Apple-standard” to aim for 7000 Kelvin, rather than the 6500 Kelvin as the normal white point is located on. Thankfully keep current iPad models balance of red and green and we will no longer see color cast to turquoise or pink. It is slightly blue, but no more. We step into the color space and measures the iPad Mini 4 sets nuances, it is clear that the slightly blue white balance is the biggest problem. Though the problem is still small in terms of the big picture. When we measure the representation of the standard (and classic) Color Checker colors are the average level of error for 2 (dE2000) which is about the best you can get in other contexts through color calibration. Even such details as tone curve / gamma are better at Mini 4 with a little clearer drawing of the darkest shades. The difference is not large, but in terms of precision, the Mini 4 slightly better than Air 2.Catchlight filter of the Mini 4 also reminds Air 2 in how it handles the room’s light. The blackness of the angle becomes purple in both models. Ipad Air 2, by contrast, is still a force in that its panel shuts down its own light better. The contrast ratio of the iPad Mini 4 is about 950: 1 and an improvement on the Mini 3. Air 2 reaches rather a contrast ratio of 1100: 1 and set to the same brightness will then Air 2 to dig deeper into the blackness. This can be an advantage, especially when using the device in the dark and thus can more easily see how the blackness appears as a dark gray background rather than black. There, Air 2, the better the screen. Now lack sophisticated control or ability to get more precision with iPad (and iPhone). You get the light you get, so to speak. Therefore it is good that the light coming anyway is so good that in other contexts would be classified correctly. Trained eyes can see that the white balance is slightly blue, but that is all. You can pick an iPad out of the box and basically trust that what you see is correct colors. Something that is not all that common in other contexts.